As the Valley’s vacation rental home experts, Moxie Girl is well aware of the difference a professional cleaning can make in terms of, among other things, guest satisfaction. Guests may cut you some slack on a few things, but cleanliness isn’t one of them. As we recently explored in our Moxie Blog, “Review Killers,” a good guest experience may turn into a good – or even great – review, but a bad guest experience almost always translates to a bad review. As a vacation rental homeowner, you basically have three options when it comes to cleaning your property: DYI, hire an independent cleaning person or contract with a professional cleaning company. Of course, there are pros and cons to each. It’s up to you as the property owner to decide what each of those individual pros and cons actually weigh in relation to your particular situation. Read on as Moxie Girl delivers important points you should take into consideration when making your selection. Do you own one, or maybe a small handful of vacation rental properties? Do you consider the operation of your vacation rental properties to be your full-time job? Do you love to clean and do laundry? If you shouted a resounding “YES!” in answer to all three of these questions, then perhaps the do-it-yourself option really IS for you! After all, the #1 “pro” for DIY cleaning is more money in your pocket. Plus, you’ll have total control – you know the job will be done YOUR way since YOU will be doing the job! Turning your own properties does have multiple downsides though. What happens should you have an illness or injury that would keep you from cleaning? What if an emergency required you to be out-of-town that day? And what if you had a “same day” turn scheduled – with only a few short hours between departing guests and new arrivals? A DIY vacation rental homeowner better have a “Plan B” that won’t leave guests hanging. Even a “Plan C” shouldn’t be considered overkill if you’re doing this on your own! One more question…Would you yourself be interested in taking a vacation of your very own, ever again? Assuming your answer is “yes!” how will you make that happen without affecting your vacation rental home operation? It sure would be a shame to have all that extra money you saved by DIY cleaning – even after purchasing your own supplies – there in your pocket and no time to relax and spend it. Just sayin’. Since commencing operation of your vacation rental home(s) – even if it was just last week – you’ve probably received all sorts of solicitation for rental home services, including independent cleaners. There certainly are a lot of them in the Valley, and their prices may seem very attractive, especially when compared to the price of a professional cleaning company. You may have yourself almost convinced that using an independent is the way to go. Think of all the extra time you’ll have for other things when you don’t have to spend your day at a property or two, getting ready for your next check-ins. More free time is certainly at the top of the “pro” list here. And since you’ll still be “the boss” you’ll still be in control of how and when the job gets done – or at least you’d like to think so. Independent cleaners often work for a variety of clients. So what’s to keep your cleaner from being busy elsewhere on a day you need them? Or worse yet – what if they bail on you last minute? Just as with the DIY option, Moxie Girl advises you keep a “Plan B” at the ready if you’re choosing an independent cleaner. But, your “indy” is still less expensive than a hiring a professional cleaning company, right? Probably – and there are reasons why that could be…First, a large percentage of freelancers carry no liability insurance and are not covered by a worker’s compensation policy. This means that if he or she has an accident or incurs an injury while on your job, you (and YOUR insurance) are likely to be held responsible. Yikes! Before hiring any independent contractors, it’s definitely a good idea to ask about – and verify – their coverage, if any. If they are legitimately covered, great! Ask for a copy of current insurance certificates for your files. 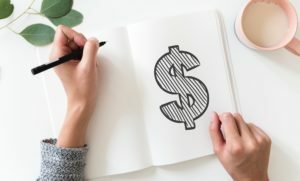 In addition to insurance matters, there are also tax implications should you choose to go the independent route and end up paying any one individual over the (current) IRS threshold of $2,100 during the year. Moxie Girl won’t bore you with the details, because…taxes. Snore. But trust us, you won’t want the IRS to have to explain it to you either. If you’re the seasoned, business-savvy operator of a multiple vacation rental homes and already have your own tax and insurance ducks in a row, an individual cleaner may still be a good option for you – as long as you are willing to keep your Plan B (and possibly a Plan C) at the ready. No training or supply burdens! Because we are a professional cleaning company, our team members are professionally trained. Moxie Girl comes equipped with our own tools and supplies – and the knowledge and experience to make your vacation rental home look, feel and SMELL its guest-ready best! We use eco-friendly products and we’re happy to customize our services to best fit your needs. No tax or insurance worries! Moxie Girl is a registered employer in good standing with the state of Arizona. In addition to being in compliance with all tax and insurance requirements, we are also quite choosy when growing our team. All Moxies are subject to a thorough background check! Total peace of mind! Imagine simply linking your vacation rental home platform calendar to the Moxie Girl schedule and never worrying about turning your property again. You can also count on Moxie Girl to immediately alert you to any damages or other unpleasantness we may find on the job, allowing for the quickest remedy possible. We even monitor your guest and property supplies – from dish soap to toilet paper – to make sure you never run out! Wow! 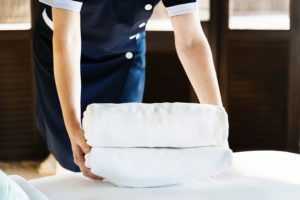 These, of course, are just the top 3 “pros” of choosing a professional cleaning company for your vacation rental home. How much are they worth to you? And what about your guests – what benefit do they receive from a professionally cleaned rental? Well, we’re confident that a Moxie Girl cleaning will make your guests feel as though special care was taken to provide them with a sparkling clean and beautifully staged place to spend their time. And who doesn’t love special care? You care enough to choose a professional cleaning company to service your vacation rental home – so don’t be afraid to highlight this selling point in your listing. 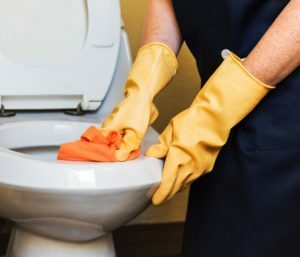 If you’re one of the many vacation rental homeowners charging a cleaning fee in addition to rental rates, mentioning that your property is professionally cleaned between each booking may make that cleaning fee a little easier to swallow for a prospective guest. 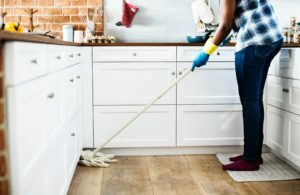 Some vacation rental homeowners don’t charge a separate cleaning fee, choosing instead to “bake it in” the rental rate. This can make your rates seem higher than comparable properties in your area, but highlighting the fact that your property is professionally cleaned – especially in the absence of charging a separate cleaning fee – will definitely be seen as a classy upgrade! Moxie Girl really IS the Valley’s vacation rental home specialist! Contact us for a FREE consultation and find out just how quickly and easily we can resolve your vacation rental home worries. From set-up to between-guest cleanings, Moxie Girl does it all!